Melbourne-based ensemble 3 Shades Black are presenting Homophonic, a programme of music by queer composers as part of the Midsumma Festival. Now in its third year, director Miranda Hill and composer David Chisholm spoke to Partial Durations about the concert’s origins and inspirations. While the anecdotal lives of composers may appear a flippant or secondary interest, they dispel essentialist notions of a “queer” musical style. For instance, we can assume Thomson was being ironic when he said that you can’t be both a twelve-tone composer and gay, as he was speaking to Ben Weber, a gay twelve-tone composer. The “queerness” of a composition is understood, rather, by the way in which it affirms or contradicts gendered and sexualised tropes such as Thomson’s cliché about the straightness of twelve-tone music. 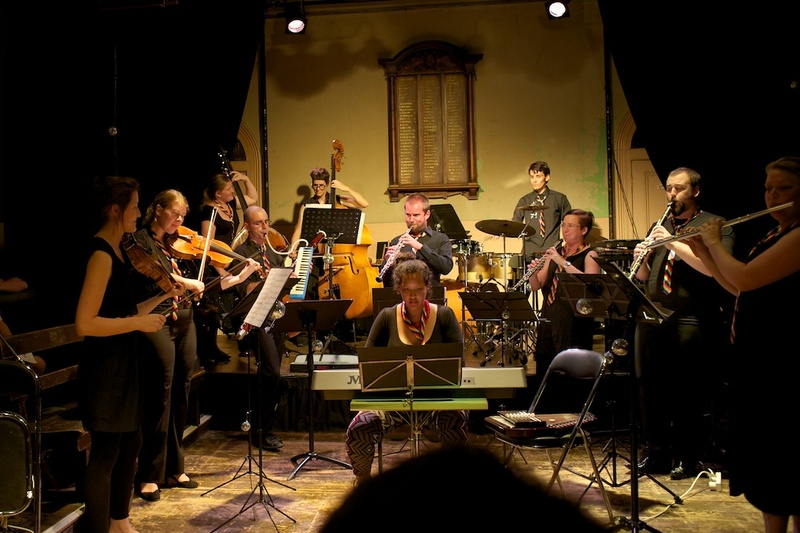 The composer David Chisholm, who is also contributing to Homophonic, said as much in the comments of his interview published in the Australian Music Centre’s Resonate magazine in 2007. The composer Matthew Hindson pressed Chisholm to identify characteristics of “queer” and “postcolonial” music, presumably sensing the fallibility of any attempt to find musical universals that fall under either label. Chisholm clarified that “queer” and “postcolonial” were labels for strategies more than immutable musical qualities. At one point, for Chisholm, this meant introducing the music of the club scene into his “classical” compositions, though for many years Chisholm has been more interested in exploring the bonds of community in the face of death. Homophonic is on at La Mama, Carlton, at 7:30pm on the 24th and 25th of January. Partial Durations is a RealTime/Matthew Lorenzon joint project.